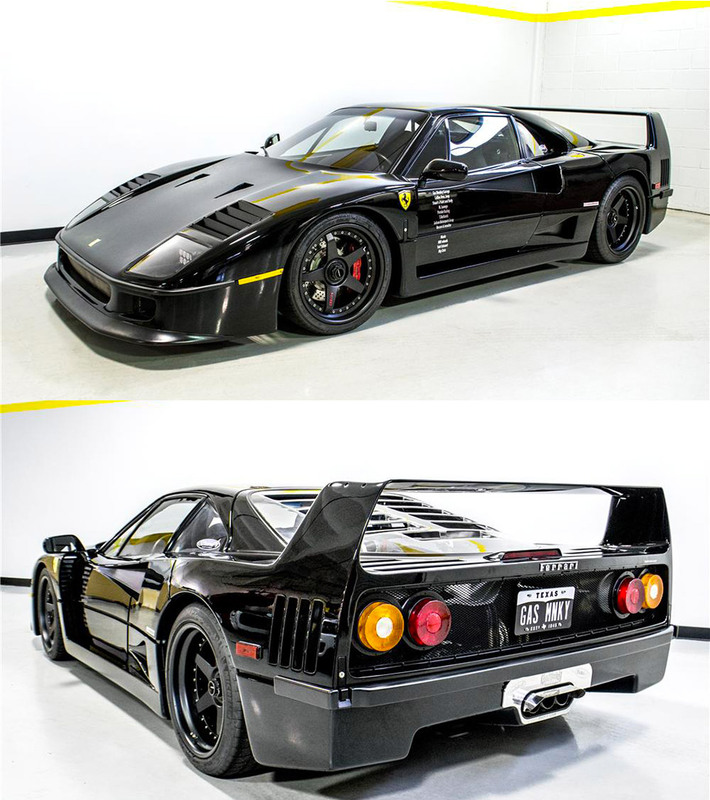 This wrecked 1991 Ferrari F40 was fully restored and modified by Gas Monkey Garage, and since it was featured on Fast N’ Loud in 2013, it has gone through a few owners. Ferrari restoration expert Stuart Singer and Lamborghini / Ferrari technician M. Luongo guided the Gas Monkey Garage team as they disassembled the car, straightened and then strengthened the bent frame, before nearly every part was replaced with OEM or aftermarket parts. Performance wise, you’ll find upgraded turbochargers feeding the 2.9L V8, an aluminum flywheel, Kevlar clutch pack, Tubi competition exhaust, Penske Racing adjustable shocks, and HRE wheels. Read more for a video of the supercar revving and additional information. “The Gas Monkey Garage Ferrari F40 was sold for $742,500 at auction in 2014, but just a year later, the owner, baseball icon Reggie Jackson, sold the car at an auction where it fetched $643,500. The car was purchased by Richard Scott who, in November 2017, he was arrested following police investigations into a 15-year bribery scheme. Authorities seized his assets and the unique F40 will now be auctioned off at Apple Towing Company’s February 5-7 auction in California,” reports Car Scoops.